Shannon Willner and her sisters took their mother shopping in Leduc for her Mother’s Days present when the outing turned into a disaster. Their mother became short of breath. When her lips turned blue, one of the daughters called for emergency assistance. While one sister was on the line with a dispatcher, Willner noticed her mother started to convulse. They moved her out of Walmart so the ambulance can easily find them. The dispatcher at that time asked to find a defibrillator. Willner ran to the customer service desk and asked if they had one. The staff looked at her confused and later paged the management. They waited for 3 minutes but management did not arrive. At that time, the third sister came in and said that the ambulance was already there. During the 3 minutes, their mother went into cardiac arrest and the ambulance team could not bring her back. According to Willner, they want to prevent something like this from happening again. Willner wishes the employees knew whether the store had an automated external defibrillator (AED) or not. If she was told right away that there was not one on site, she could have tried in another store nearby. 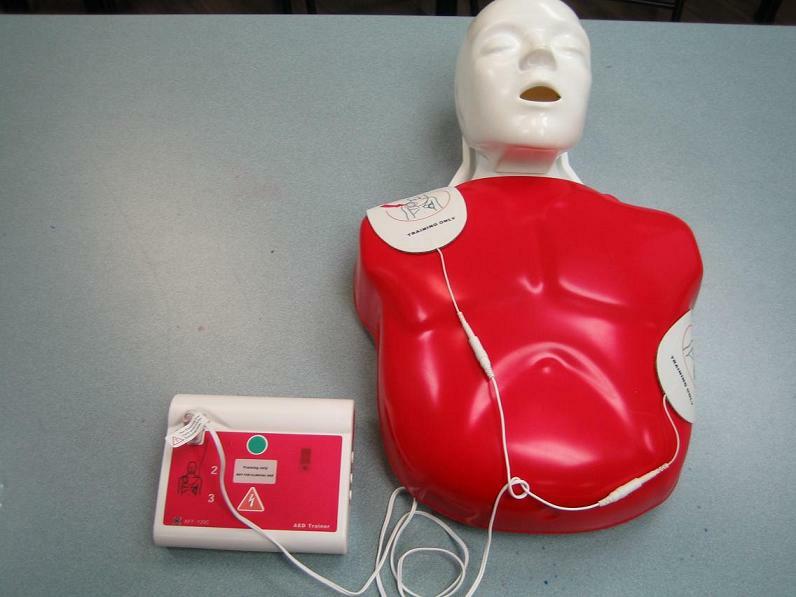 In Alberta, there are no rules on requiring AEDs in public places or businesses. 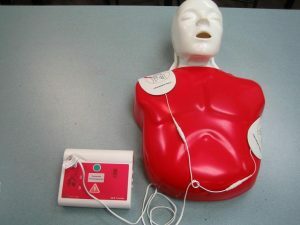 The Alberta Occupational Health and Safety does not have any set requirements on the placement of AEDs in businesses. In case employees decide to add one, they must ensure the use of AEDs as vital in an emergency response plan and first aid program. Alberta Health Services are eager to see more public spaces with AEDs. When an out-of-hospital cardiac arrest occurs, the survival rates are low as 10%. Automated external defibrillators (AEDs) is one of the essential links in the chain of survival, according to Alex Campbell, an EMS public information officer for AHS. For a chance of surviving an out-of-hospital cardiac arrest, the vital components include recognizing a cardiac arrest and performing CPR right away, calling for emergency assistance and using an automated external defibrillator if one is available. AEDs should be easily accessible in certain types of work sites, depending on the closeness to medical care and number of workers. When using an automated external defibrillator, it is relatively easy. Once you start the device, it provides auditory prompts on the steps to go through. Simply open the device, remove the pads from the package and place on the chest and it provides the instructions on what to do.